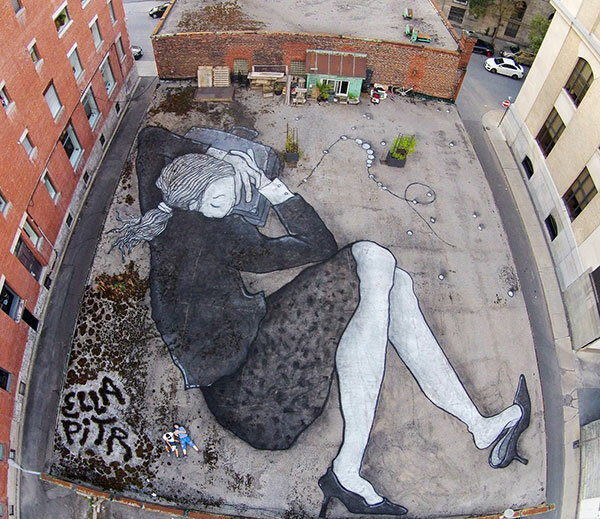 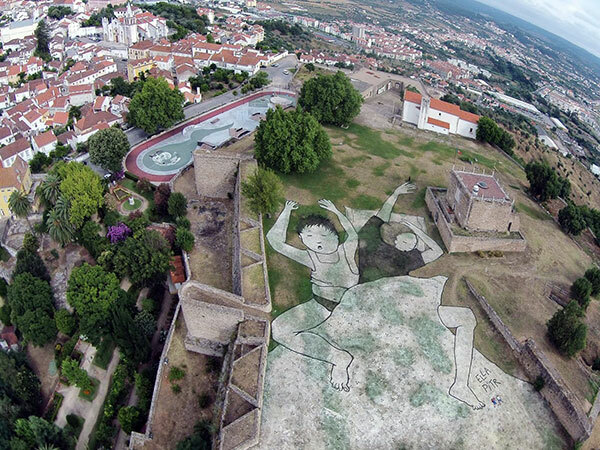 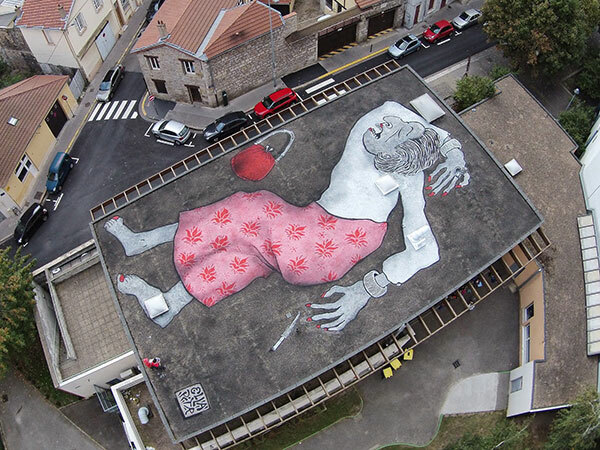 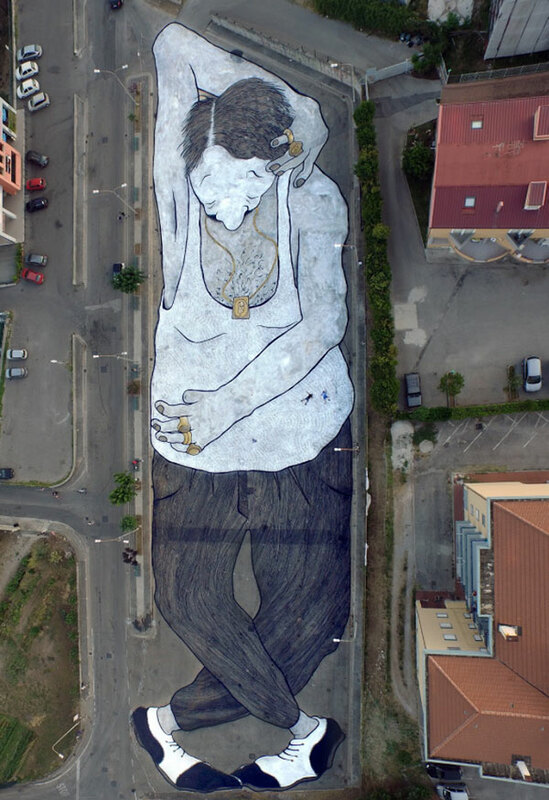 Gigantic paintings by French street art duo Ella & Pitr. 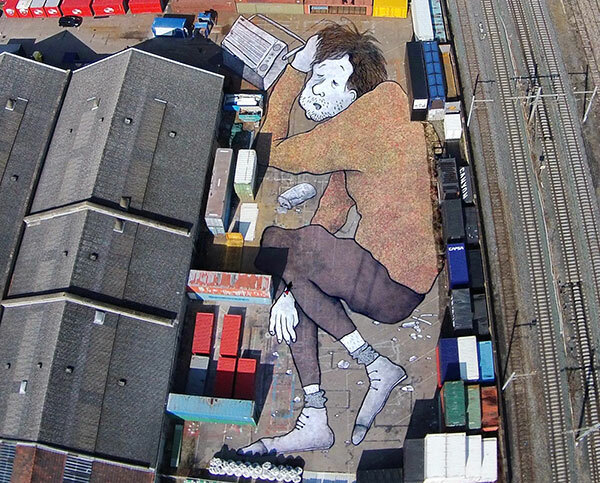 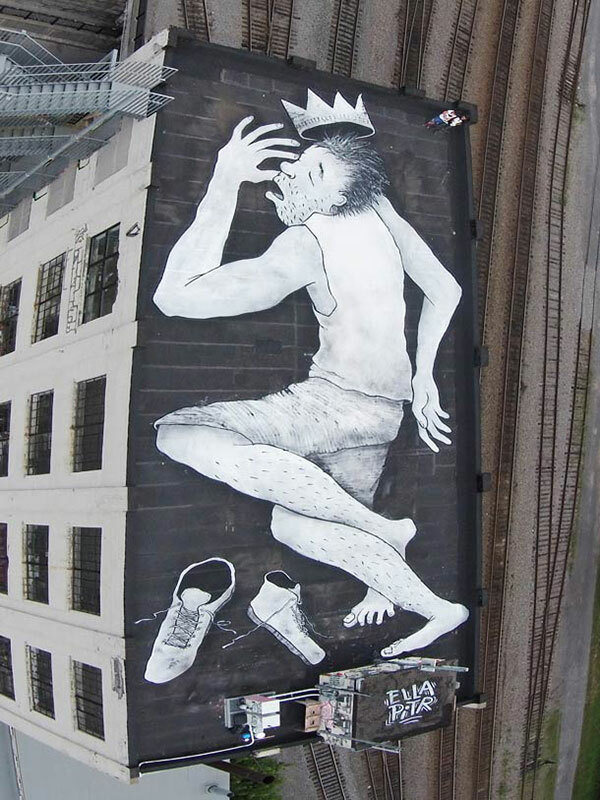 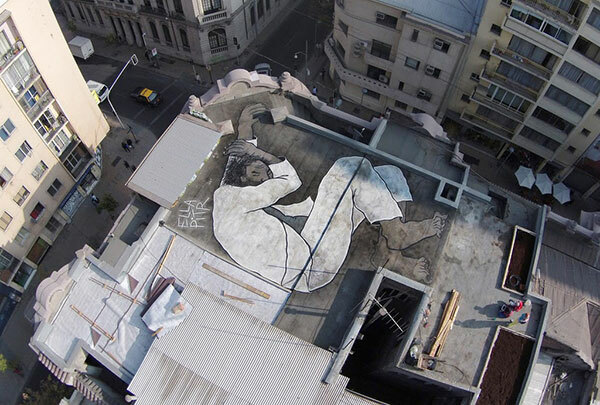 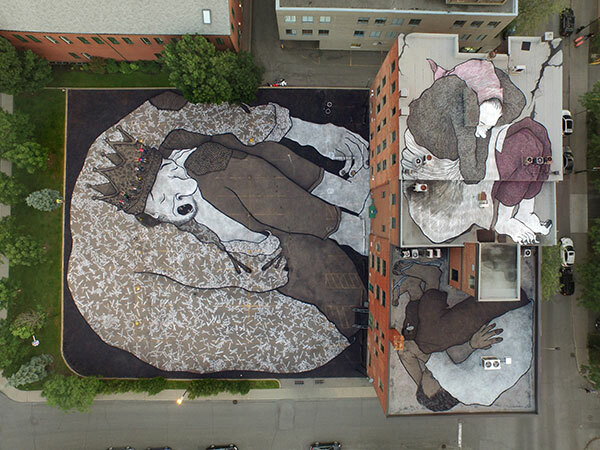 The large-scale artworks have a storybook quality and shows different characters sleeping on the roofs of buildings or at ground level. 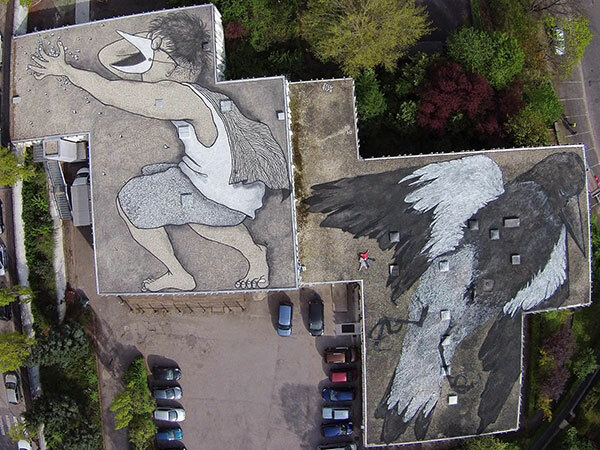 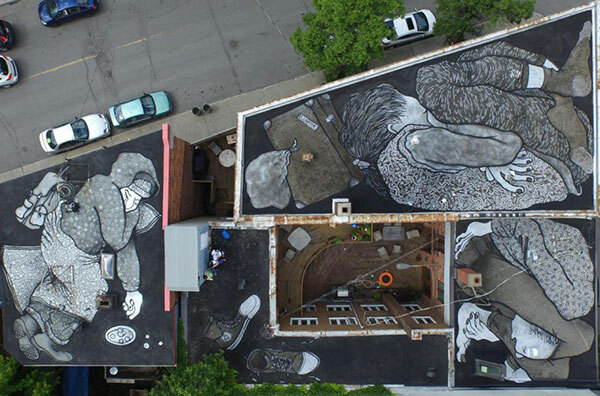 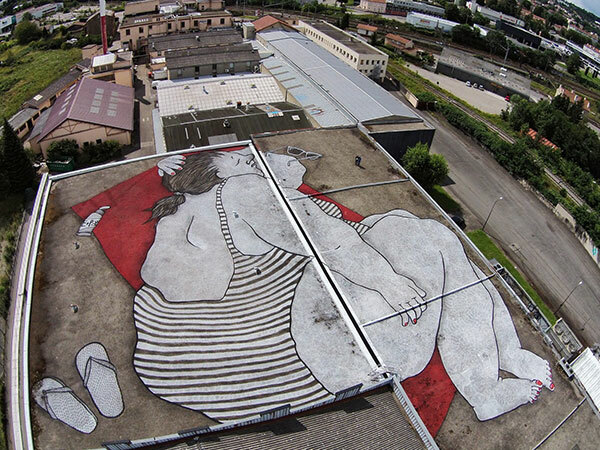 Due to their size, the murals are best seen from the air.